A meeting was held at Toledo Mennonite Church with representatives from the Northwest Ohio MEDA(Mennonite Economic Development Associates) chapter, Toledo Mennonite Church, Friendship Baptist Church, and Metro Toledo Churches United to discuss a microenterprise program in Toledo. Led by Howard Good and Kevin Stout of MEDA. A Feasibility Study Steering Committee was formed. Members of the Steering Committee begin to meet with an agreement on a vision for a microenterprise program in Toledo modeled after ASSETS (A Service for Self Employment Training and Support). Members: Nancy Atkins (Metro Toledo Churches United), Phil Ebersole (Toledo Mennonite), Steve Elzinga (Toledo Mennonite), Marcus Goodwin (Friendship Baptist), and Frank Ulrich (NW Ohio MEDA). Phil, Marcus, and Frank meet for further planning, and to take steps on how the feasibility study could be conducted. A preliminary report is given to the NW Ohio MEDA spring meeting. Marcus Goodwin and Phil Ebersole attend an Association for Enterprise Opportunity (AEO) Conference in Washington, D.C. Meet with MEDA members and others working in microenterprise development. Sub committee of Phil, Marcus, and Frank, along with consultation with Kevin Stout, agree to ask Marcus to do the feasibility study. Marcus begins work with Kevin providing assistance. Interviews with community development corporations, Small Business Development Center, city, and other leaders. Feasibility study completed, with recommendation that there is a need for such a training and mentoring program in Toledo. 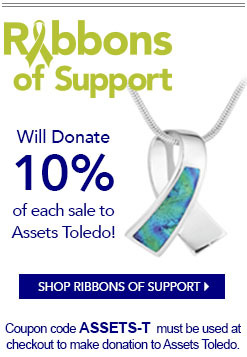 Program will be called ASSETS Toledo. A board of directors is formed with Marcus Goodwin appointed as chairperson. Steps are made toward incorporation, and non-profit status. Marcus, Phil, and Frank present update of the program, and over $22,000 in funds are raised at the NW Ohio MEDA spring meeting. A $15,000 matching grant is made by MEDA. Phil Ebersole hired as Executive Director effective September 1, 1999. 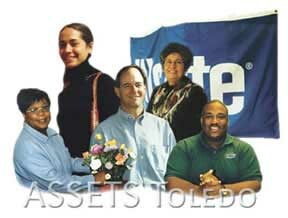 Board decides to hold first class, Building a Business Plan, January 11-April 4, 2000. First class held with 25 persons registered; led by 25 volunteer presenters. ASSETS completes first year of program with 63 participants, 43 graduates, 20 business start-ups or reinforcements, and 11 full/part-time jobs created. Olivia Holden hired as Executive Director.